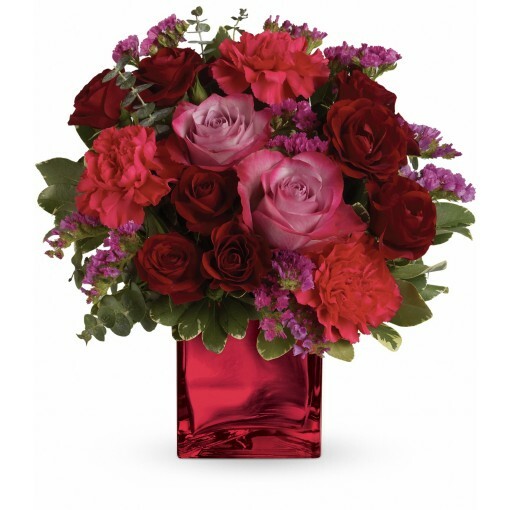 Enrapture your paramour with this dramatic display of red and lavender roses. 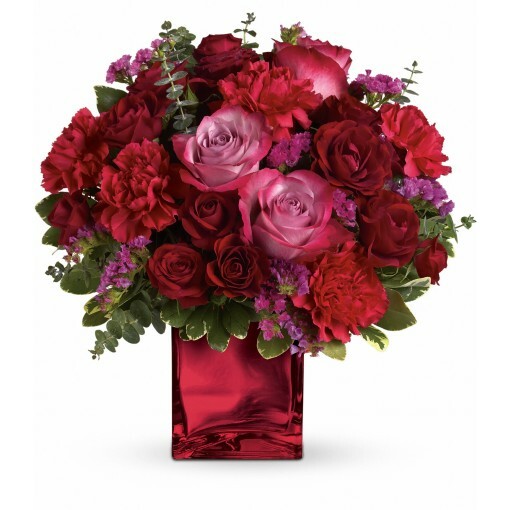 This bouquet is arranged in a red, glass cube - a shining keepsake they'll treasure forever. 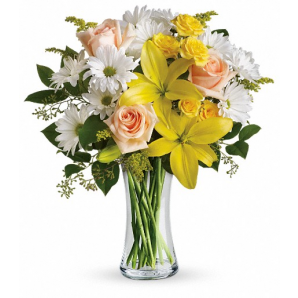 To place order, dial 812 945-2544.